I am a 26-year-old writer from the West of Ireland. An English teacher, in 2015 I returned to university to complete an MA in Writing at NUI Galway and to pursue a writing-based career. I write for Sin (NUI Galway's student newspaper), editing its entertainment section and culture column, Resonate, and as Events Reporter for the Institute for Lifecourse and Society. 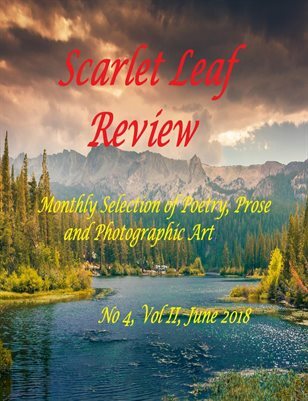 My poetry has been published by The Galway Review and numerous international journals, including Scarlet Leaf Review and Artificium: The Journal. Q: Do you think that your school years have had an impact in your writing career? If so, what were you like at school? I do. I loved writing creatively even in primary school, and my secondary school experience developed that passion for me. English was my favourite subject, alongside PE, and I enjoyed our classes a lot. We often wrote for and during them, and I was usually called on to read mine to the class. It was good training for a career in writing; I always knew I had to turn up with something worth sharing. I was quite studious, but also sporty. I tried my hand at everything and enjoyed being there most of the time. That was a big part of me wanting to become a teacher. I was always good at English, but I wasn’t ‘great’ (if I’m even allowed to say I am now!) until I got towards the end of my time at school. I remember taking it more and more seriously from 2nd year onwards, however, and it was easily my best subject by the time it came to Leaving Cert. Right now, I would like to be able to live off my writing-based work – editing, journalism, publishing, teaching, etc. Beyond that, I want to have my poetry collections (The Letters I Never Sent and I Am being the two I have in the pipeline right now) published in Ireland and internationally, then perhaps pursue both fiction non-fiction more seriously. As an Irishman, WB Yeats and Seamus Heaney, obviously, impacted me via their influence and lyricism; Patrick Kavanagh with his work’s simplistic beauty. The depth and darkness of Sylvia Plath’s poetry struck me, even as a teenager, while, in more recent years, I’ve also enjoyed Simon Armitage’s very frank worldview. I think it too early to say how these poets have affected my work, but I often recognise the traces and influence of writers I’ve read and returned to when I revisit my work from different times in my life. I’ve written poetry mainly so far, approximately 100 poems, of which I’m happy with roughly 40. These will form the bulk of my first two collections. Since 2015, I’ve dabbled in fiction, writing a series of flash pieces inspired by my youth, a fable, and the opening of a novel. I write 6-word stories at sixwordmemoirs.com and have done so as ‘NeilSlevin’ for three years now. Finally, I’ve worked as a reporter and journalist for the past year and written a number of news, feature, entertainment and sports articles. I must get around to writing some lifestyle pieces. You can read much of my poetry on Scarlet Leaf Review’s website, as well as in various Irish and international literary journals, but my fiction remains hidden on my laptop! You can read a lot of my journalism in last year’s edition of Sin Newspaper, and on the Lifecourse Institute’s website. At the minute, I’m working mostly on my final submission for my Writing MA at NUI Galway. It consists of almost 40 poems and three fiction pieces. Q: When did you decide to become a poet? What was the decisive factor or you just took a pen and starting writing poems? I can’t describe my writing poetry as a result of any conscious decision I made. Poetry is more how it comes out for me. At school, my prose was quite purple and poetic, and as an adult, writing my first poem was quite a natural step. The first attempt I made at writing poetry was a poem called ‘Trainspotting’, about my first experience on the Tube in London. I write when inspired to by my thoughts, feelings and observations, sometimes by things I happen on in conversation. What makes me write is often a desire or need to make sense of what I’m thinking and feeling. I also enjoy writing in response to prompts, interesting or unusual things that people say, or as part of a class or group. It changes from week to week. These past 12 months have been my first focused period as a writer. Right now, I enjoy focused periods of work, say a month or 6 weeks, where I write daily then edit and refine what I’ve produced during my down-time, but this may change once I return to working full-time. Ideally, I like to write for an hour a day every day, no more no less, and see what I come up with. I prefer short, sharp bursts of activity over days spent at a laptop. It’s still a little too early to say, but I’m enjoying working through my portfolio and seeing how my writing has evolved and continues to evolve in terms of style. I think my poetry has become more direct and concise, while my fiction is still at a stage where I can be influenced and inspired to write in different ways by what I’ve read and enjoyed. Generating the ideas for writing and believing in them enough to get them down on paper. The drafting and editing process of a piece. I really enjoy writing once I have the inspiration to. Q: Do you ever get writer’s block and if so do you have any tips on how to get through the dreaded writer’s block? I’m not sure I believe in writer’s block per se. If I have an idea I believe in and want to pursue enough to make something of it, I’ll write about it. On the other hand, having a routine and following it can only help a budding writer. Write as often as you can for a fixed period of time; the more you write, the better you get. I’m not reading a lot at the moment, but Harry Potter and the Cursed Child is at the top of my to-read list. I much prefer reading by traditional means. Exercise, coffee, music, reading and spending time with friends. Q: Where can you see yourself in 5 years’ time? I don’t have any fixed vision at the moment, but I want to see myself published, working in or with writing and/or at third level and, ideally, pursuing my PHD. I think I’d encourage my younger self to take things a little less seriously, to be more open to different opportunities and to take more risks.